Hi there and happy weekend! Today was a splendid day as I was teaching in Espoo! What nice surroundings and such a great group of ladies! Thank you all who came! 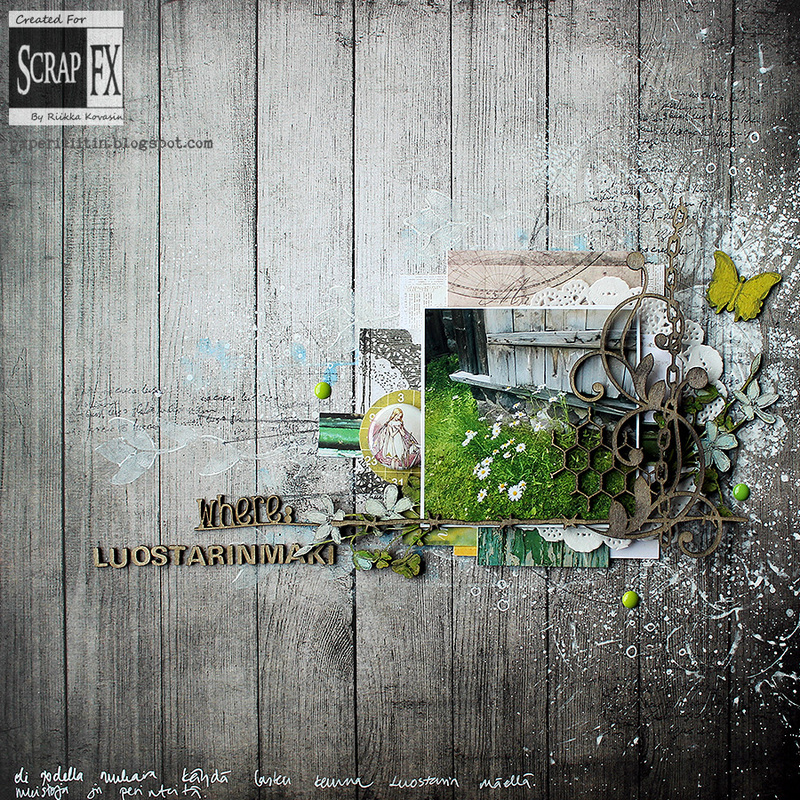 Today I'm sharing this page with you I created for Scrap FX and was blogged a few days ago in the company blog. It's done using the new products you can see here (link). This time I documented a summer photo in the page and mixed old with the new. The topic of the page is our summer trip to Luostarinmäki - a handicrafts museum area in Turku, Finland. I grew up in Turku so it was fun to show this museum to my own kids when I had visited it so often during my youth. My daughters liked seeing different craftsmen in their work and visiting the tiny houses. I chose the color palette of the page from the picture - a trick I tend to use very often. I only added white to the wood grain patterned paper. 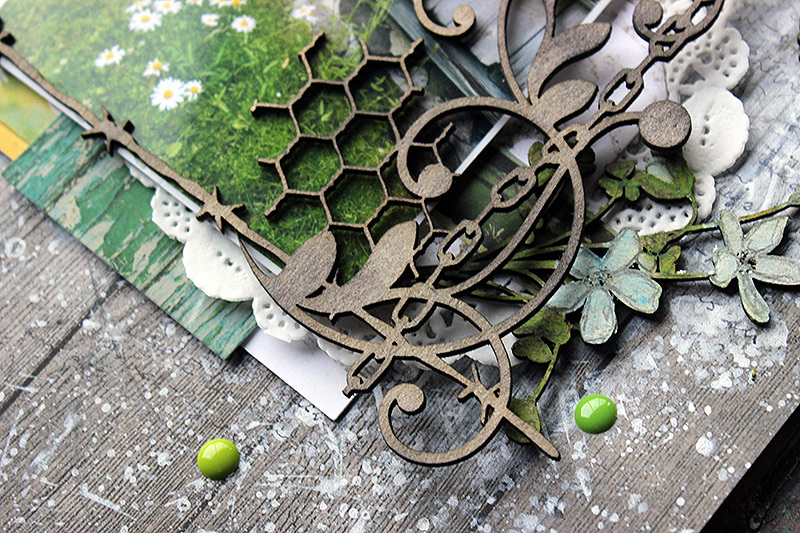 First a mist through the "Botanical" stencil and then some stamped blooms using gesso and the "Simple Bloom" stamps. 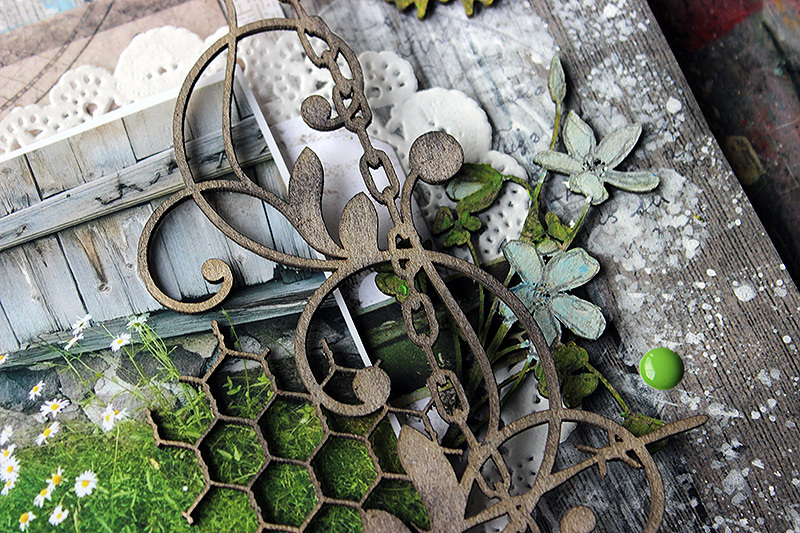 The main embellishment is the "Rustic Tendril Corner" chipboard piece which I treated just with a hint of ink. The "Mini Bouquets" turned into daisy-like flowers when I colored them white and green. Then there's also a butterfly and the title made of two products: a piece from the "Facts to Remember" set and also the big word made using the "Mini Alphabets". Gorgeous page! I love the wood-like background - so very perfect! Thank you so much for taking the time to leave a comment! Hello! My name is Riikka Kovasin. 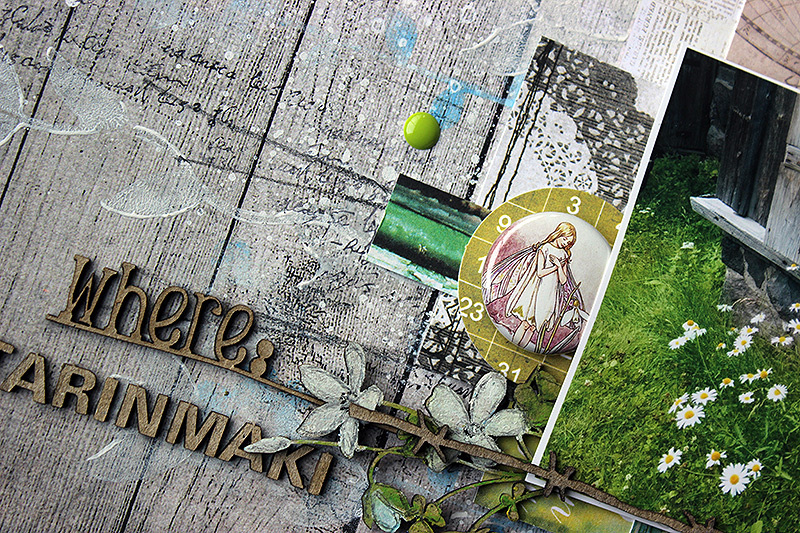 I'm a Finnish mixed media styled crafter. Welcome to my blog! You can reach me via my email rkovasin@gmail.com or just follow the social media links underneath. Thank you!